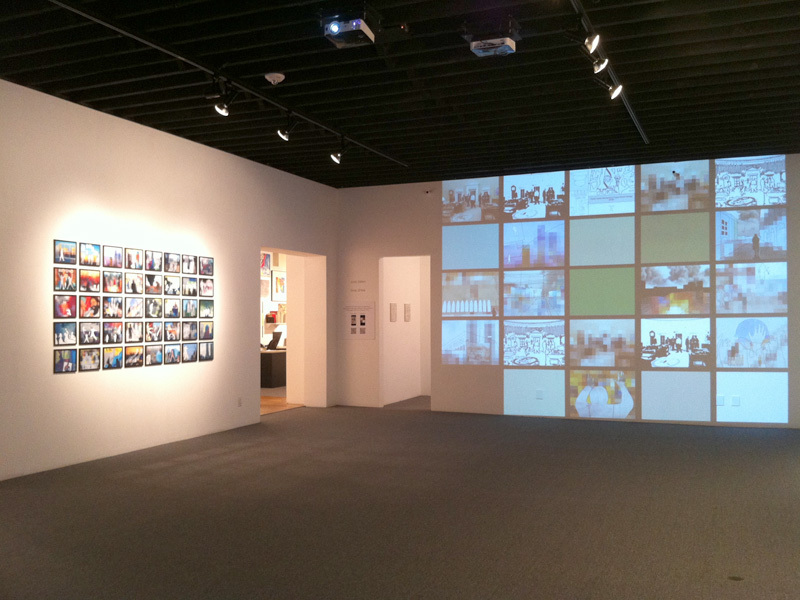 Time Jitters is an exhibition of digital photographs, paintings, animations and iPad apps that take their point of departure from news photographs culled from daily newspapers. 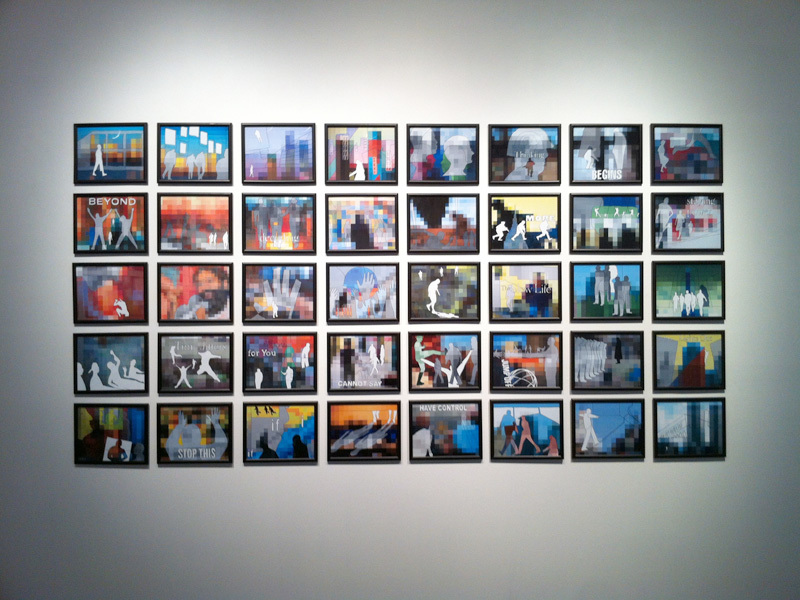 In these works I call attention to image overload in contemporary society by creating my own over-saturated world. I begin with images culled from both digital and print media sources and alters them a variety of ways. In a series of photographic collectively eneitled If I reduce the web images to their essential pixels, distilling the photograph into a grid of colors. Line drawings made by tracing the printed newspaper images are overlaid onto the grids creating a push/pull between the abstracted color and the contents of the source: politics, war, natural and man made disasters. While the original image is diffused, it never really disappears. The various components in my work serve as building blocks that are reconfigured in different mediums. A line drawing of a newspaper image is scanned and then used in a digital collage, which can become a template for a painting, a page in an artist's book, an image in an iPad app as well as an animation in which the drawing process is made visible. Central to my explorations is the relationship between how the computer generates lines or traces images in contrast to what is created by the hand. 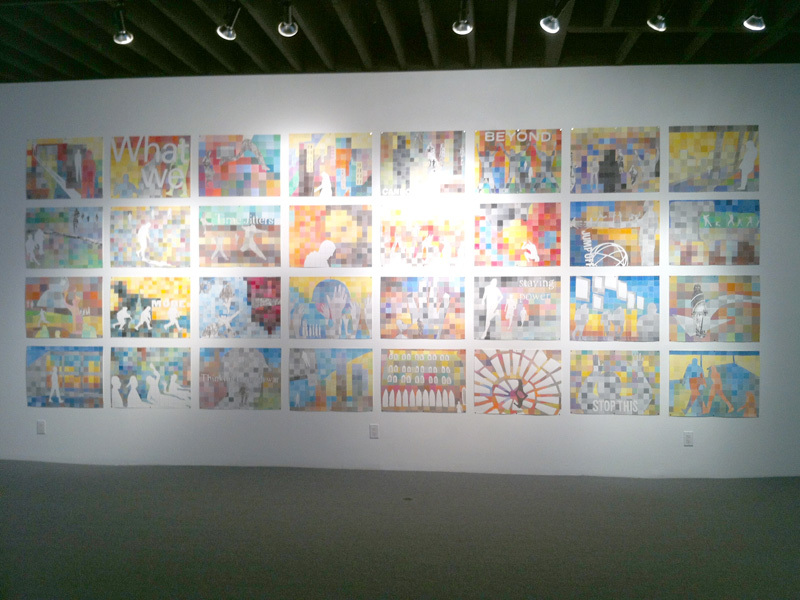 The exhibition also presents a grid of Gouache on paper paintings. While the specific events may not be discernible, these 22 x 30 inch works collectively become a representation of the passage of time. The translucent colors of the paintings contrast with the harsher opaque tones in the digital photographs, which are in fact, their referent. In my animationk Time Jitters I illustrate this process of creation. 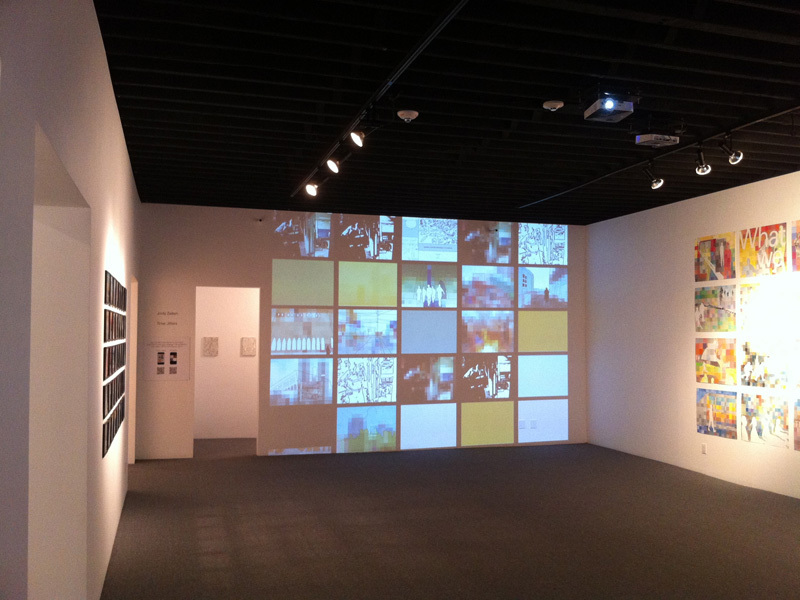 In the work, a grid of twenty-five animations looping at different rates becomes a media wall -- a cacophony of pulsing color and flickering imagery. This frenetic display is seen in contrast to a large scale projection that weaves together a narrative from the various fragments. Seen together these works becomes a meditation on remediation, using the media presentation of world events as its point of departure. 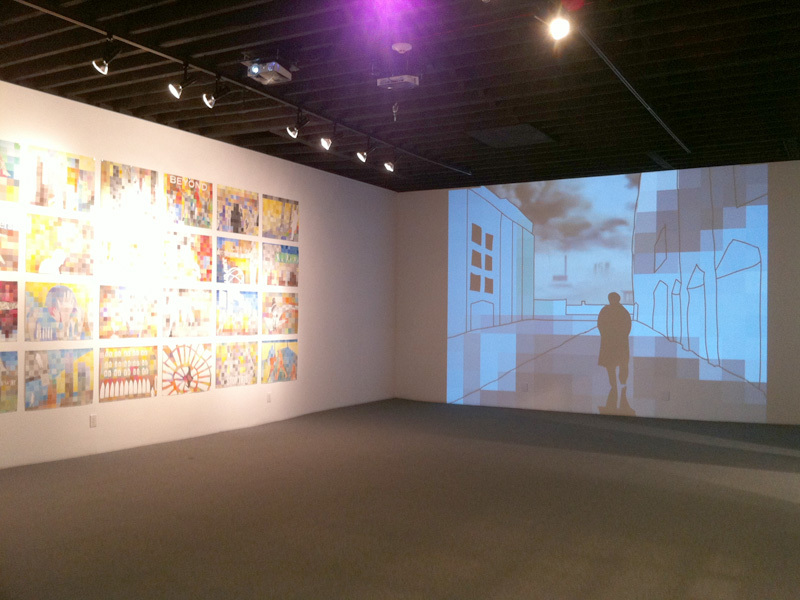 Aslo on view are series of marker on panel drawings and an accompanying animation. These figurative doodles illustrate a stream of consciousness: the inner workings of my imagination. Click here to view the two channel Time Jitters animation. Click here to view Fragments. Click here to download Time Jitters as an iPhone or iPad app. Click here to download Episodic as an iPhone or iPad app.